Last Thursday night, 250 Long Islanders gathered at Stony Brook University to remember Marcelo Lucero, who was killed in Patchogue on November 8, 2008. While then-Suffolk County Executive Steve Levy had repeatedly depicted immigrants as criminals and possible terrorists, he tried to disclaim any responsibility after news broke about the murder. His gestures at contrition were undermined when Levy openly mocked public concern over the hate crime, calling it a “one-day story” that should have quickly faded from memory, but Levy’s responsibility for the crime was readily apparent. The film makes clear that it was the words of hatred from Levy and other elected officials that had deputized the young men to carry out the attacks that had terrorized the immigrant community for at least two years. 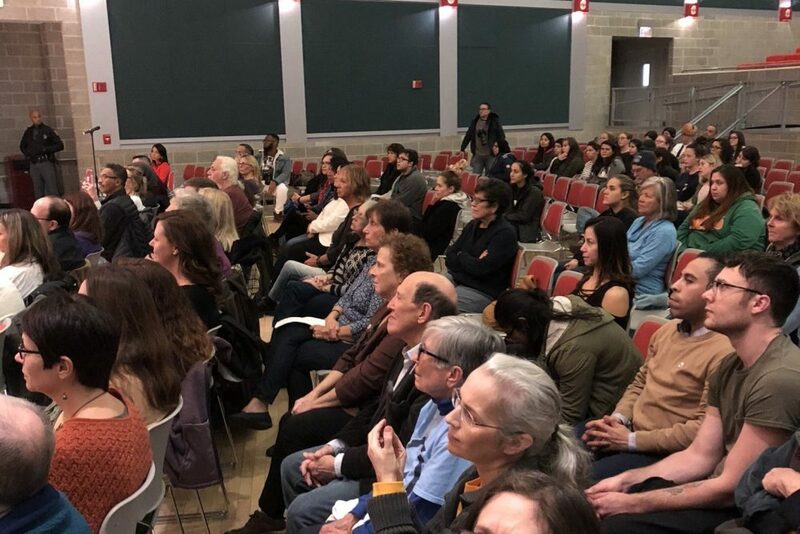 Joselo Lucero, brother of the slain man, shared the stage with Patchogue-Medford School Superintendent Michael Hynes to answer questions after the film. Hynes now runs the district where the seven attackers were educated. Joselo Lucero told the audience that because the film deals with a day of trauma in his own life, he has to “mentally edit” the film so that he can watch it. The only people in the audience who knew of Marcelo’s existence before the killing were his sister and himself, and so they watch it with foreboding. 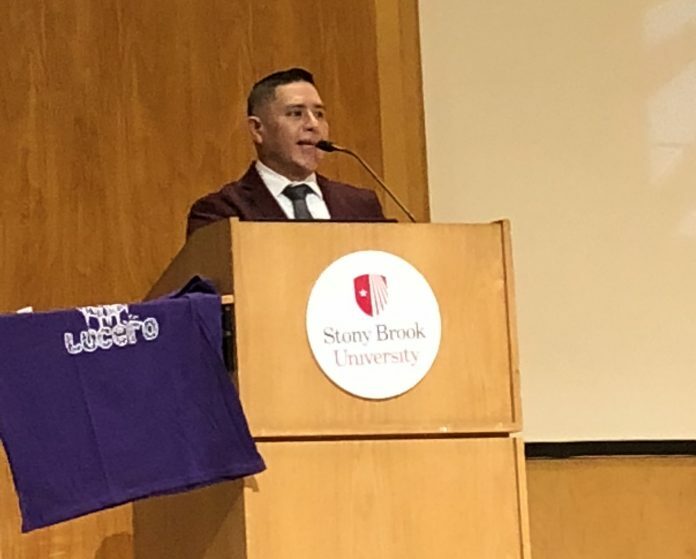 Joselo Lucero, who has become both an outstanding speaker against racial divisions on Long Island and a leader in the movement to end school bullying, said that teaching young people to respect each other is the key to ending the hatred that led to his brother’s death. Lucero received a standing ovation from the audience for his heroic actions on behalf of the immigrant community. The anniversary came at a time of increasing numbers of hate crimes across the United States. The massacre of Jews in Pittsburgh the week before was on everyone’s mind. One woman said she had looked around to find the exits at the Stony Brook vigil in case someone had attacked the commemoration. Many at the gathering compared Steve Levy’s anti-immigrant rhetoric to that of President Donald Trump. Both politicians used racially charged rhetoric to win votes and then tried to duck responsibility when others acted upon their words.